Witnessed cardiac arrest in post-cardiac surgery patients is different from other cardiac arrest in many ways. Whether external cardiac massage should be deferred for immediate defibrillation/pacing is one of the difficult decisions which has been debated in the last few decades. Among the 1785 papers identified in the literature search, 9 clinical studies and 4 systematic reviews were pertinent to answer this question. 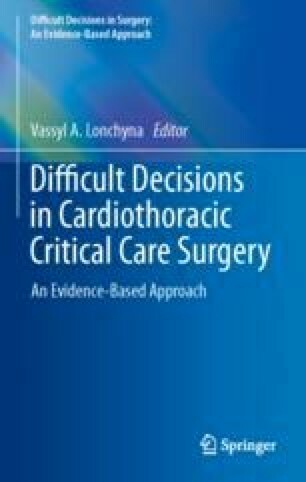 As no studies were performed in patients after cardiac surgery, we extrapolated our findings from the general literature. The in-hospital cardiac arrest data suggests that a better survival outcome is associated with immediate defibrillation and the out-of-hospital cardiac arrest data show no difference in survival outcome between external cardiac massage first and immediate defibrillation first, if the rhythm is amenable to defibrillation. Taking into consideration the highly monitored environment, readily available resources, and common causes of cardiac arrest in this group of patients, as well as the potential complications caused by external cardiac massage, we recommend providing defibrillation/pacing first for witnessed cardiac arrest in post-cardiac surgery patients. Huang Y, et al. 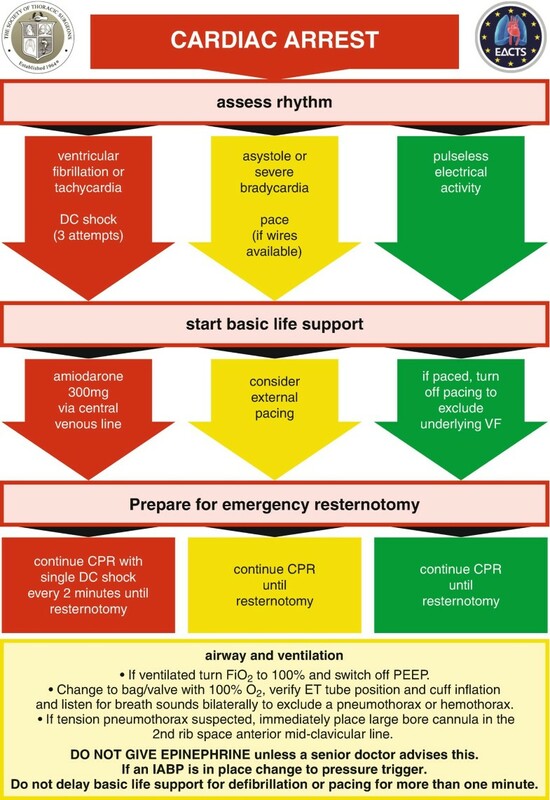 Cardiopulmonary resuscitation (CPR) plus delayed defibrillation versus immediate defibrillation for out-of- hospital cardiac arrest (review). Cochrane Libr. 2014; https://doi.org/10.1002/14651858.CD009803.pub2.Copyright.